Monday is here again. 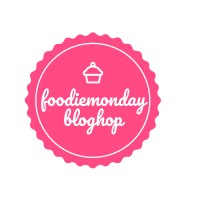 As you all know, I have been associated with a foodie group as Foodie Monday Blog Hop where each Monday we, the group members fix a theme and as per theme we make a fresh post. This time, the 179th theme is decided as 'Food Magazine Best' which means we have to create our best dish which will best fit for a food magazine.When this theme was chosen, after that I was so curious to make any traditional dish of my home state, Odisha which will make me feel much proud !!! So here I have come up with an authentic soup from Odia cuisine as 'Soup of Fermented Rice Water with Vegetables' aka 'Torani Kanji'. This is a such type of dish which will be thoroughly enjoyed by any age group that may be a patient or normal person. Well after cooking the rice, we generally discard the water from the rice. And that discarded water is the base of this kanji here. The preparation of this torani kanji is simple still the fermentation part is quite time taking as the torani or the discarded water from the cooked rice is kept aside for 3-4 days long to ferment well. On the 1st day, in a big bowl the discarded rice water is stored with a lid covered. On the next day, half amount of the stored water is thrown away and the discarded rice water of the second day is added to the bowl. Similarly on next day, half amount of the stored water is thrown away from the bowl and the discarded rice water of the third day is added to the bowl. In this process, around 4th / 5th day the rice water in the bowl is perfectly fermented and a large amount of rice water which is perfectly soured we can get. But during winter days as the fermentation takes a longer time, so to get the rice water with desired sourness some ambula or dried mango pieces are added to the discarded rice water while storing in the bowl. This torani kanji is thoroughly enjoyed by me during winter days particularly as compared to summer because during this period of time in a year, a variety of seasonal vegetables are easily available in our pantry. Raddish, eggplant, pumpkin, raw papaya, lady's finger, colocassia are the much chosen vegetables for this kind of soup. I always prefer to add a thickening agent in this soup and here that is rice flour. But this addition is completely optional. 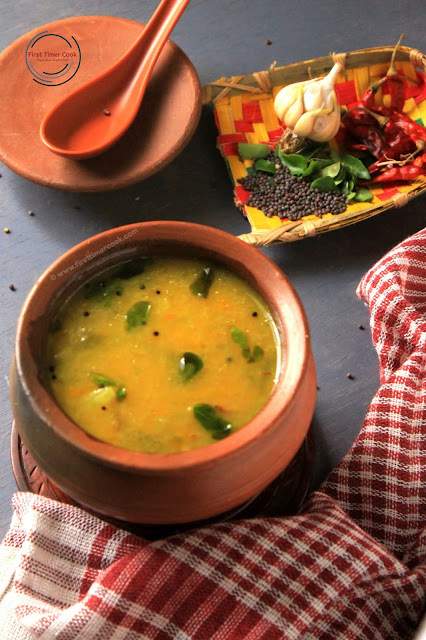 The flavor of garlic tempering along with mustard seeds, curry leaves and red chili in mustard oil lifts the taste of this soup to another level simply. It can be served hot (in winter days) or cool (in summer days) as desired and can be stored for up to 2-3 days by refrigerating. 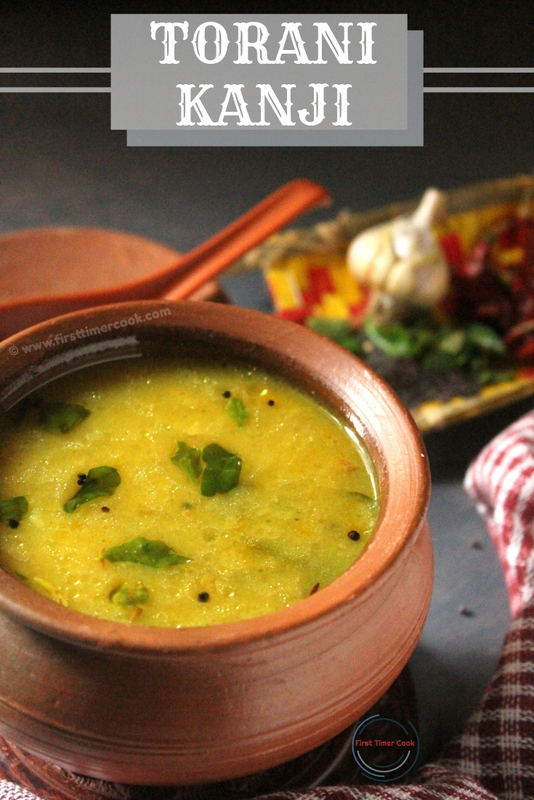 This goes very well with rice-dal combo or simply one can have it like a healthy and soul-satisfying soup. Completely gluten free and vegan soup also this is. 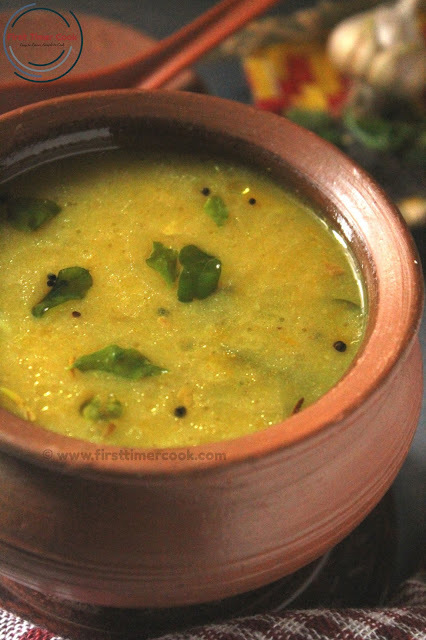 So do try this authentic soupy delight from Odia cuisine soon. Whole red chili 2-3 no. In a wide pan, take all the fermented rice water along with salt and turmeric powder. Mix well and boil over medium heat. After 1-2 boil, add all the chopped veggies and salt. Again boil over low-medium heat for 5-10 minutes. Meanwhile in a bowl make a paste of 1/2 tbsp of rice flour with 1-2 tbsp of water. Add this to the boiling pan and cook till all the veggies are cooked well. Heat mustard oil in another small pan. Add in mustard seeds and allow to crackle. Next add crushed garlic cloves, curry leaves and whole red chilies. Saute till garlic smell comes out from the tempering . Turn off heat and pour this tempering over the cooked veggies. Again cook the kanji for 1 minute. Turn off heat and serve the torani kanji hot !! Here the rice flour acts as a thickening agent. I like my kanji to be have little amount of thickness instead of normal liquid consistency. So I added here, but this is completely optional and can be omitted. If the rice water is not fermented well, that means if the desired sourness is not there in the rice water (particularly in winter days, the fermentation takes long time naturally as compared to other days) then some Ambula (dried mango pieces) can be used as souring agent. I love how simple this recipe is. Yet, I'm sure it would taste delicious! Great share for the theme, and a beautiful pic! 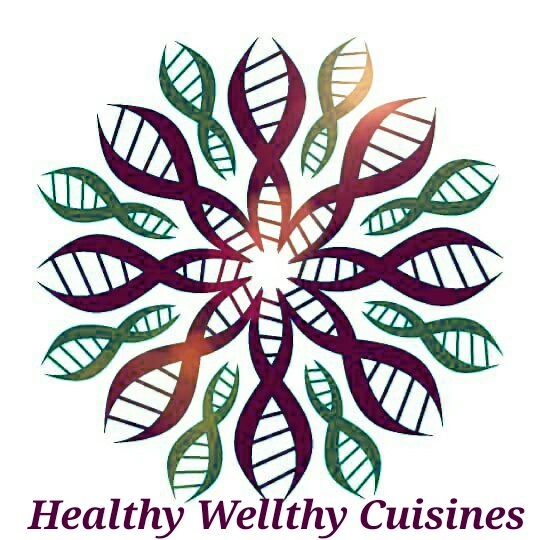 Healthy, comfort food, traditional and Regional cuisine - all things I love Sasmita. Loved the recipe and the beautiful images. An interesting recipe Sasmita. I've not had the opportunity to taste fermented rice water, but am sure it must be so delicious and comforting drink to have during winter. In my home town of Coimbatore, in the days when we did not have pressure cookers, the rice would be cooked in a large pot, and the water remaining after draining the cooked rice, would also be made into kanji or porridge! I was too young to recollect what was added in that kanji, whether vegetables, as in your Odisha dish, or something else. I must find out! Lovely share, and lovely images too, Sasmita! Love this simple and nutritious Kanji. Addition of fermented rice water sounds interesting.Awesome share. Very nice simple recipe, a hearty dish!! sounds so flavourful!! 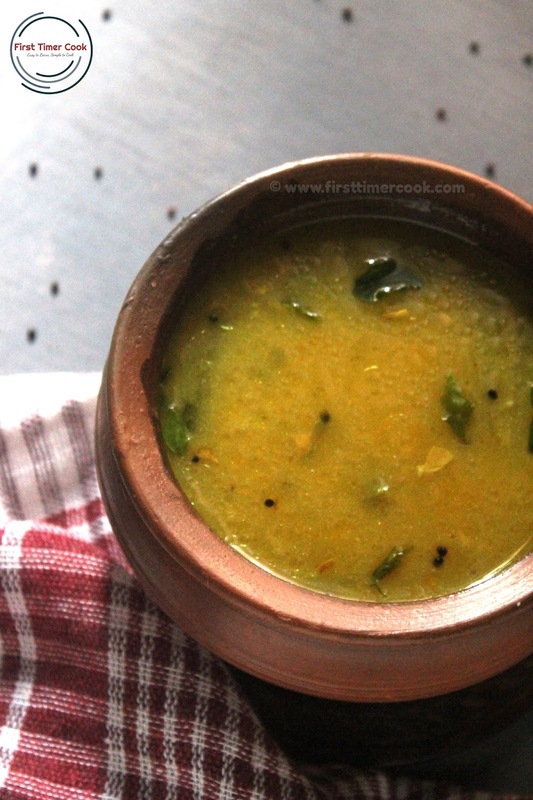 This fermented rice water with vegetables sounds unique and healthy, love that you have come up with a regional dish Sasmita ! Loved this simple comforting panta bhat recipe Sasmita. And loved your presentation and click. Kulo gamchha everything looks beautiful and artistic. Awesome share for the theme. That is such a comforting recipe. I have never had Fermented Kanji though my mom advocates the goodness of the tamil style ones to glory. This sure looks interesting. Sashmita I think this is the same kanji my cousin kept speaking about when she was Orissa. I love the idea of adding veggies to the kanji. Will taste delicious.